With the aid of hypothes.is we will thus create a comment or annotation layer over your various projects, binding them together to some extent, and enabling the disrupted JMP community to establish connections and to interact with specific aspects of your projects as they evolve. 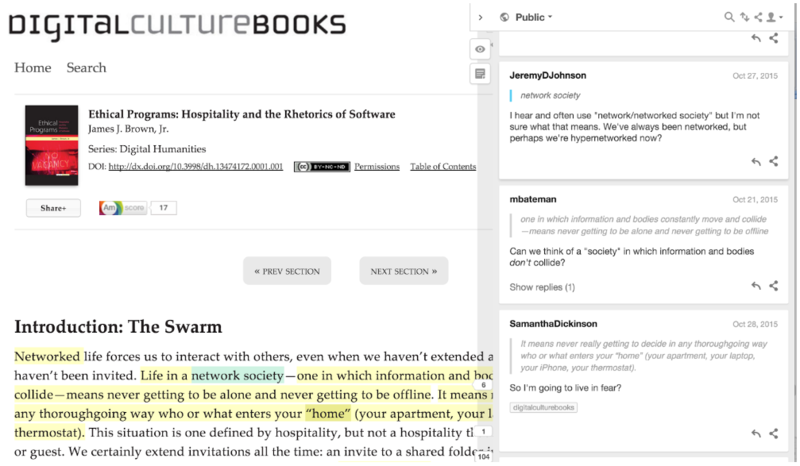 Hypothes.is is already used as a comment, annotation and conversation tool within various academic settings, for example to enable the collaborative annotation of James Brown’s book Ethical Programs: Hospitality and the Rhetorics of Software (University of Michigan Press, 2015). To structure the various commentaries – and thus the conversations – across the disrupted JMP projects, we will be using tags or keywords to categorise the comments, questions and/or replies. We will create a live feed on the disrupted JMP platform that collects all the responses around the papers together using the tag or keyword disruptedjournal. Based on the submissions received, we have also structured the conversations around specific themes or topics of conversation. These are Performative Publishing; Practice-based Methodologies, Processual Research; Debating Media Practice Publishing; Multimodal research; and Politics and Economics. These themes will make it easier for people to identify the projects that are of interest to them, and will enable us to structure the conversations around certain topics more clearly. The conversations around these themes will similarly be structured around specific tags, which can be filtered out of the larger live feed to enable people to follow the conversation around specific themes of interest. In order for this set-up to work smoothly, you can find some more detailed information underneath about how to use hypothes.is, and how to set up an account. You can also find some more information here on how to add tags to your comments and about how we will be using these (specific) tags or keywords to structure the conversations around the projects/papers. 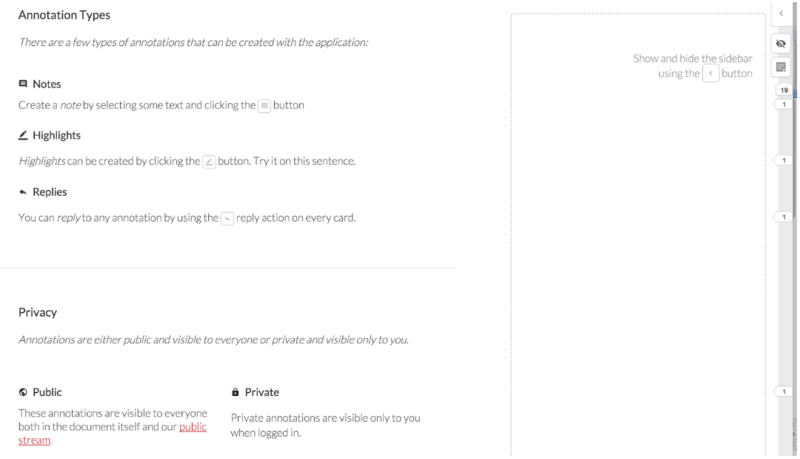 Once you are all set-up, you can start annotating/leaving comments. For some basic instructions on how the hypothes.is interface works please see here (https://hypothes.is/docs/help) and the screenshots underneath. We have also collected a few videos that show you how to use the interface underneath. Make sure to make your comments related to this special issue public (see picture above) to enable others to see your comments and for them to go into the live feed. 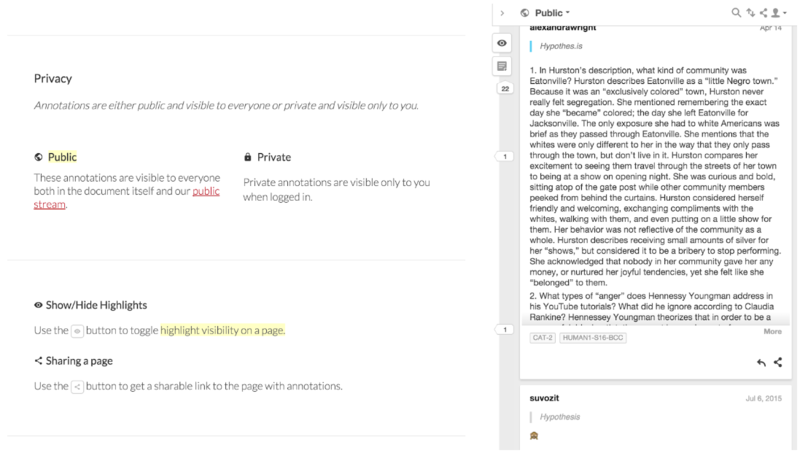 You are of course free to make additional private annotations wherever you see fit. So for example, if you are leaving a comment on a paper that deals with processual research, please make sure to add the tags disruptedjournal and processualresearch. This is a bit of additional work, but we hope this will become easier once we have all familiarised ourselves with this process (it remains very much an experiment for us too so please let us know if this is not working out for you). If you have any more question related to this please use hypothes.is to the right to ask for questions or clarifications or alternatively use the regular comment section underneath this blog post.